Everything you need to get started in professional wax services. 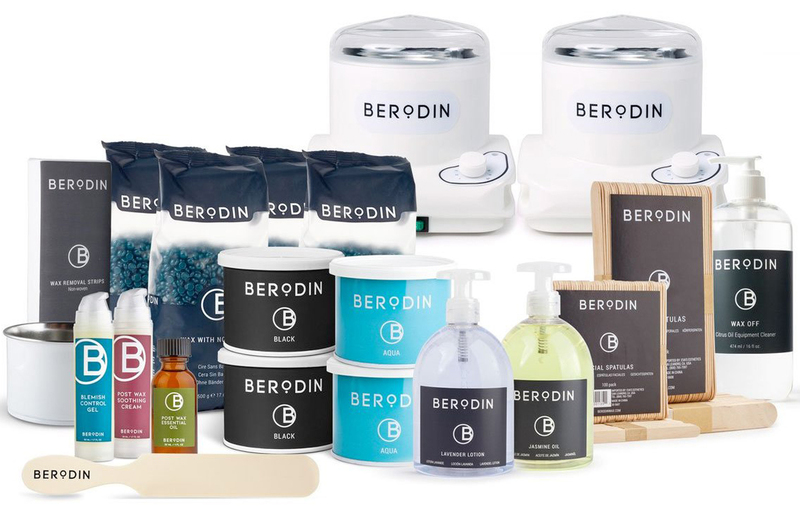 Includes: 2 Single Warmers, 2 Black Tins, 2 Aqua Tins, 3 Blue Pellets 500gm, Empty Wax Tin, Jasmine Oil, Lavender Lotion, Post Wax Soothing Cream, Blemish Control Gel, 2 Large Plastic Spatulas, Wax Collars, Non-Woven Strips, Post Wax Essential Oil, Wax Off Equipment Cleaner, 2 packs of Large Disposable Spatulas, and access to stream our instructional videos. Everything you need to get started in professional wax services.